The history of UNC runs deep. Very deep. 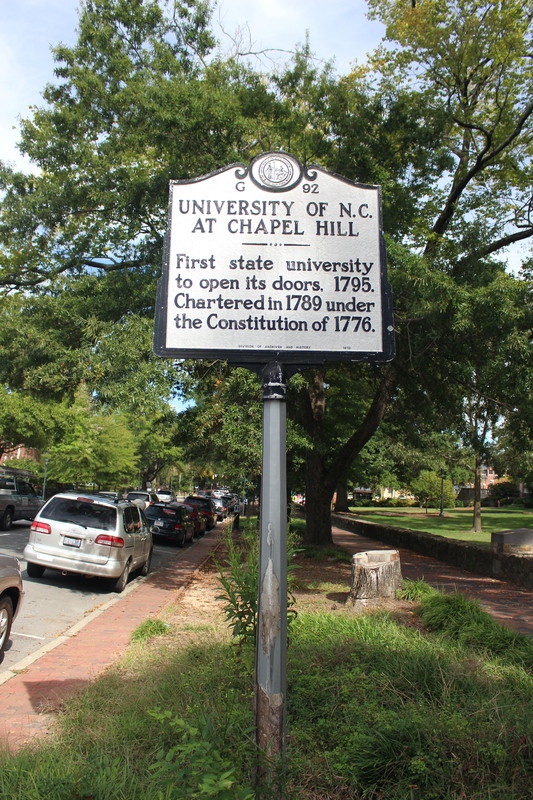 Established in 1789, UNC is the oldest public university in the nation. Our beautiful and historic campus stretches from the bustling shops and restaurants of Franklin Street to the hallowed steps of South Building, from the Bell Tower to the Old Well, and from Morehead Planetarium to the open green pastures of the quad. UNC’s campus has much to offer our students, faculty, staff, and visitors. But, the UNC community does not stop at our storied and stonewalled perimeter. Part of what makes UNC so special is the city we call home, Chapel Hill. 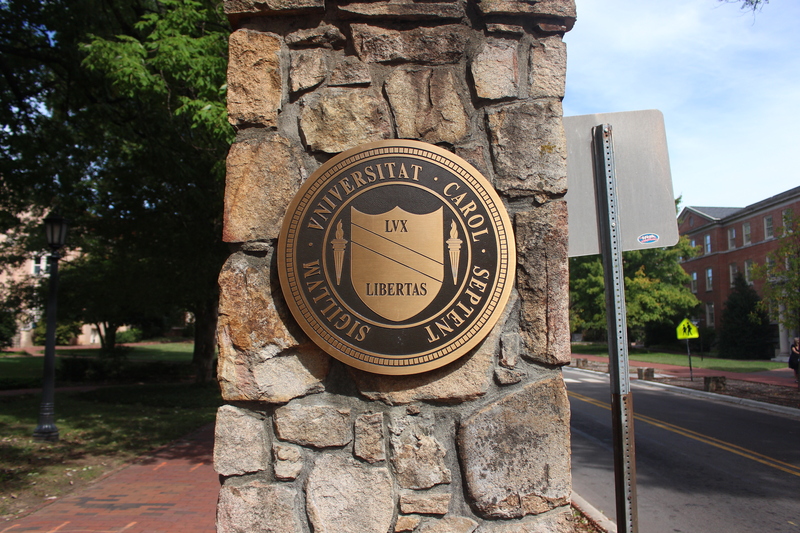 UNC and Chapel Hill are hard to separate, and in fact the two were created together. At the same time the original UNC Board of Trustees was dreaming up our campus, they organized a group to build an adjacent community, Chapel Hill. 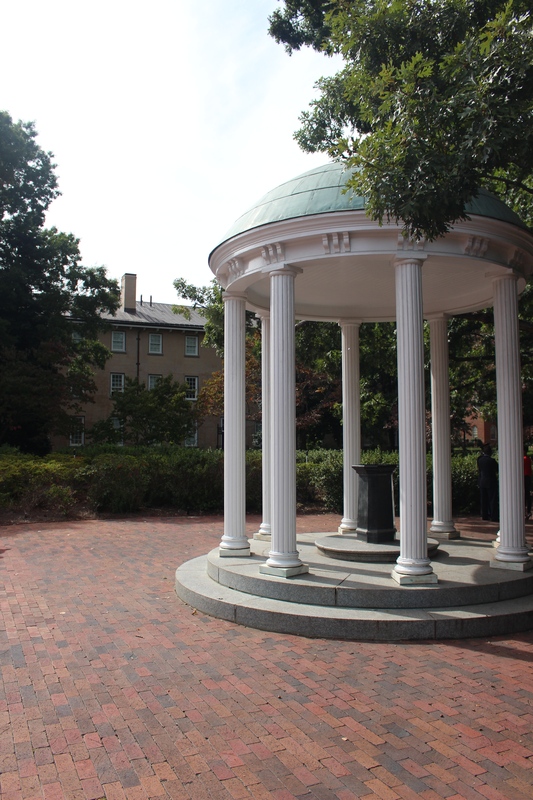 Despite the deep connection between the town and our university, sometimes UNC can feel like a bubble. College life keeps us very busy, but it’s important to take time and to learn about the beautiful, vibrant, and important history and culture that literally surrounds our campus. By learning about this history and culture we will be better students and better community members. Below are a couple of organizations and resources that can help you learn more about the place UNC calls home, Chapel Hill. Located at the Love House on Franklin Street, The Center for Study of the American South is an amazing campus resource for learning about the history of Chapel Hill, North Carolina, and the American South as a whole. The Center offers a range of resources in print and digital formats that paint a vivid picture of Chapel Hill’s history. Check out the Center’s Southern Oral History Program to find a vast collection of powerful and insightful stories that document the history and culture of Chapel Hill. The Jackson Center is located next to St. Josephs’ CME Church on Rosemary Street, at the gateway to the historic Northside community in Chapel Hill. 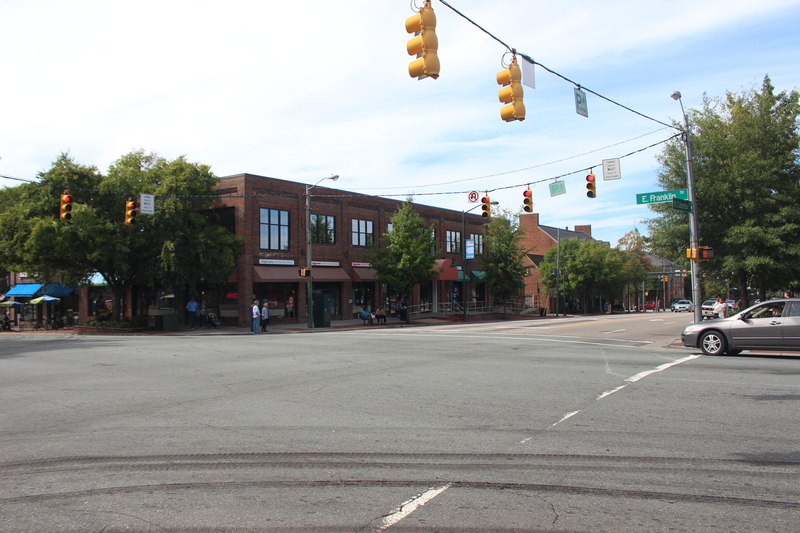 The Jackson Center is a public history and community development non-profit that works in the historically African American Northside and Pine Knolls neighborhoods of Chapel Hill. Their aim is “to listen, to hear, and to preserve the life stories of residents, neighbors, and friends.” All too often these stories are forgotten, undervalued, and placed aside. The Jackson Center, in collaboration with the community, brings these valuable stories to the spotlight and advocates for community based leadership, growth, and vision in our town. Check out some oral histories from long-time Chapel Hill residents on their website and consider volunteering if you want to help out. Located on Franklin Street just past the Love House and the Center for the Study of the American South, The Chapel Hill Historical Society is a local institution dedicated to researching, documenting, and sharing Chapel Hill’s history. Programs and publications offered by the Historical Society cover a range of issues spanning from the Civil Rights Movement in our town to the array of famous local cuisine. Check out the videos from the Historical Society’s recent event where they helped Merritt’s Store and Grill celebrate its 85th anniversary by detailing the history and culture of this local foodie legend. Preservation Chapel Hill is located in the famous Horace Williams House on Franklin Street and is dedicated to “protecting the character and heritage of the town of Chapel Hill, and the surrounding community, through the preservation and conservation of its historical building and cultural landscapes.” Preservation Chapel Hill does this through a combination of educational programs, advocacy work, and physical preservation of buildings. Check out the organizations huge collection of historical documents and records available for public viewing and research purposes at their offices. P.S. The history of Chapel Hill evolves everyday! In addition to The Daily Tar Heel, be sure to stay informed with local news by checking out ChapelBoro and The Chapel Hill News.